Welcome to Baron-Corbin.net! 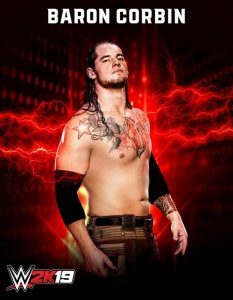 We are your approved source for WWE Superstar Baron Corbin. Here you will find the most up-to-date news, videos, photos, and information on Baron Corbin. Be sure to check back daily for all the latest news! Follow us at: @BaronCorbinNet! Thank you for visiting! We are a approved site and Baron is fully aware of the site and supports us. We aren't his official site just a approved source. - Be sure to check these bands out over on Itunes. 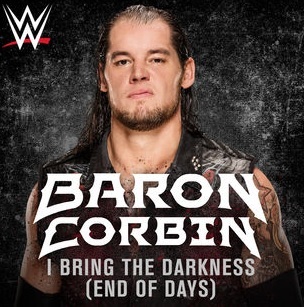 Baron Corbin’s entrance theme song is now available to buy on iTunes. 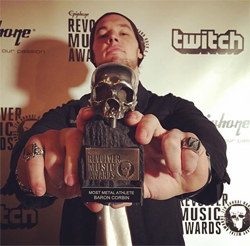 Baron Corbin won Most Metal Athlete from Revolver Music Awards in 2016. The only other recipient to win that was The Game, Triple H! So it's pretty awesome that our Lone Wolf is now apart of that as well. Note: These are the ONLY approved and confirmed accounts of Baron Corbin. 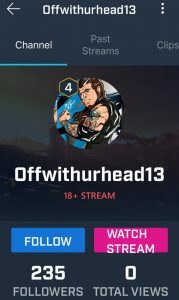 Any other account claiming to be him should be reported asap. If you're interested in becoming a family site or elite affiliate then email or tweet us. Thank you! We're currently accepting elite affiliates! Ever had the chance to meet Baron Corbin or see him in action? If so feel donate your photos and/or videos to us. You can also donate graphics such as icons, signatures, fan art, and more. All donations can be sent to us at BaronCorbinNet@gmail.com. All donations will be credited to their rightful owners. Thanks! Baron-Corbin.Net is in no way affiliated with Thomas Pestock, better known as NXT Superstar Baron Corbin. We are an approved source by Baron he's fully aware of the site and follows us on Twitter. We are not affiliated with WWE or any other company or promotion he has worked for. Anything found on this site belong to their rightful owners and they are credited as well. We take no ownership of anything unless stated otherwise. If you have any questions or concerns about anything please don't hesitate to email or tweet us immediately. ; If you're using anything off here please just credit us for our hard work. This is a non-profit fansite made for fans by fans. It's strictly for entertainment and informational purposes only!